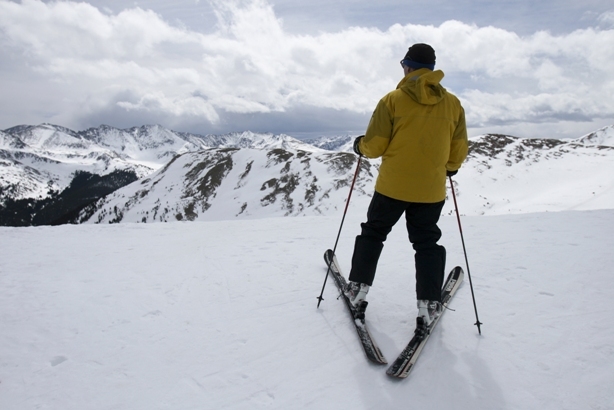 Colorado is heading into a winter filled with new offerings, and visitors who love the excitement of soaring down mountains in the state’s many ski areas will enjoy exploring these fun opportunities. Colorado Welcomes Winter Olympic Experiences: Colorado welcomes the 2018 PyeongChang Olympics with several Olympic experiences. Attend ski and snowboard Olympic qualifiers at the Dew Tour in Breckenridge (December 14-17, 2017) and the Toyota U.S. Grand Prix at Copper Mountain (December 6-10, 2017) and Aspen (January 10-14, 2018), visit the Olympic Training Center in Colorado Springs, train where Olympians train at Woodward at Copper, experience Steamboat's 2018 Olympic Send-Off Celebration (January 27, 2018) and more. 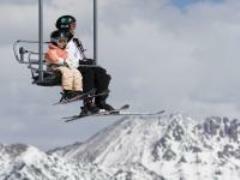 Snowmass Ski Area Celebrates 50 Years: This winter season marks the 50th anniversary of the Snowmass Ski Area. The season-long celebration includes vintage, 1967 lift ticket pricing of $6.50 on Friday, December 15 as well as a festive weekend of anniversary activities December 15-17 such as a retro party at Elk Camp restaurant, fireworks display, the return of Banana Days, an on-mountain celebration at Spider Sabich Picnic arena and more. Additionally, throughout the season, the celebration continues with new gold signs that mark the original ski trails, monthly fireworks displays over Fanny Hill, a new mural in Base Village commemorating the history of Snowmass, and more. Arapahoe Basin Expands Terrain: For the 2017-18 season, Arapahoe Basin will add 468 acres to its inbounds skiable terrain, bringing its total acreage to over 1,400 acres. Construction on the new terrain began this summer, with patrolled and maintained hike-back skiing available starting in the 2017-18 season. There will be 339 acres of lift-served skiing in The Beavers, including intermediate and advanced open bowl and tree skiing. The Steep Gullies will remain hike-back terrain and will be some of the most technical and challenging in-bounds terrain at Arapahoe Basin. Powderhorn Mountain Resort’s New Ski Patrol Ski Along: Get the ultimate insider's guide to Powderhorn with the new Ski Patrol Ski Along. Ski with a professional Ski Patroller and learn some of the tools of the trade such as safety, transporting and caring for guests on the mountain. The ski along is open to all ages and starts at $75 per person. 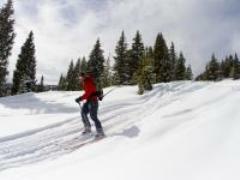 Four Seasons Resort and Residences Vail Offers Back Bowls Ski Tour Program: Vail’s seven legendary back bowls span 3,000 acres of Vail Mountain’s backside. Vast and open, the bowls provide advanced skiers some of the most breathtaking views around. Enjoy an exclusive tour of these bowls with a local celebrity such as Pete Seibert, the son of one of the founders of Vail, as he weaves in and around the back bowls and tells stories about the founding days of Vail. To complement this full-day experience, take a break to refuel with a chef-curated picnic lunch at Blue Sky Basin. 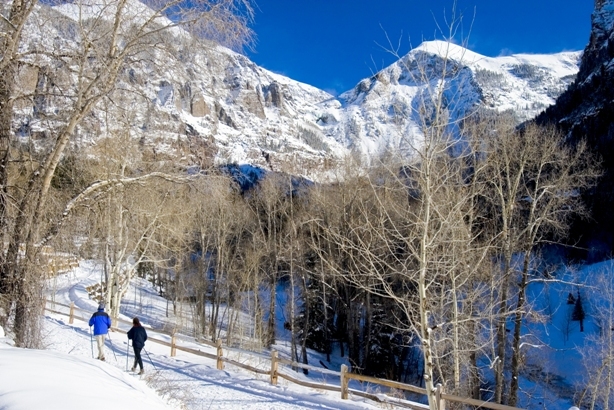 Hotel Telluride’s 'Sled & Soak, Ski & Sip' Winter Alpine Package: This 3-night package includes champagne upon arrival at The Hotel Telluride, a full day backcountry snowmobiling trip to Dunton Hot Springs, gourmet lunch at Dunton Hot Springs, soak in the hot springs in Dunton and, upon return to The Hotel Telluride, enjoy wine and charcuterie by the fireplace. The package also includes a full day lift ticket for two to Telluride Ski Resort and a champagne pairing dinner upon return to The Hotel Telluride. This package is available from November 23, 2017 to April 8, 2018.